DFWTRN - DFWTRN welcomes Renee Groskreutz March 4th presenting on Blogging for Business! DFWTRN welcomes Renee Groskreutz March 4th presenting on Blogging for Business! Come see the newly remodeled Prestonwood Country Club! Renee is a blogging evangelist with a passion for teaching individuals, small workshops and corporate classes about the power of blogging for business and how to get started. She has a fun, empowering and energetic style that engages the audience! 2013 Fall Series Lunch N Learn - Intro to Blogging and Pick My Brain! Renee's 45-minute slide-based Intro to Blogging for Business lecture includes Why You Should Be Blogging, Steps To Take Before You Decide To Blog, Strategic Worksheets, Resources and What Would Google Do? 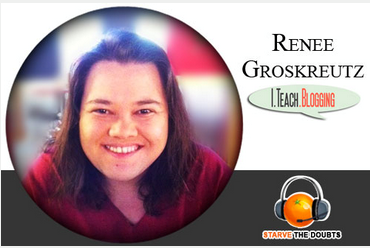 Renee Groskreutz (Gross-Kroytz) is a Blogging for Business educator, author, speaker and podcaster, on fire to help small business owners understand the power of blogging and the technical aspects to pre-planning and strategizing. Renee is an educator at SMU CAPE, a prolific blogger herself at ITeachBlogging.com, runs her own membership site at my.ITeachBlogging.comand actively takes questions from her twitter audience every Wednesday morning at 9am with the hashtag #BlogBuildTips. She is both a consultant and WordPress developer and can be reached at Renee@ITeachBlogging.com. She has created sites for Champion Bull Riders Association, Trinity High School Football, and many others.